We had a super weekend down at Bicton with glorious weather. The main grass arena was in fantastic condition and looked amazing. I haven't been to Bicton for a few years and I really enjoyed the show. On the Friday My lovely athletic 7yr old Canberra Z by Chablis won a competitive Newcomers and Bella XIV was 2nd who is owned by Tors Mallin. Calvaro B owned by Jane Dixon was 2nd in the Foxhunter and my own gorgeous 6yr old Delihah was 5th in a marathon Discovery. On Saturday Bella XIV was 3rd in the Newcomers and Andreas owned by Chantelle Souness was 2nd in the Foxhunter. Calvaro B jumped a nice double clear in the 130m. 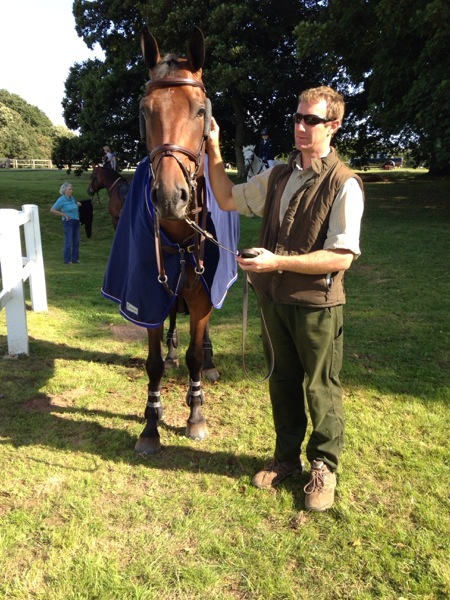 On Sunday Andreas won the Foxhunter Bella was 3rd and Canberra was 5th! Calvaro B was 3rd in the 135m and Delihah finished high up in another marathon Discovery class with 90 in it! !